Teavana Canada online prepared a special sale offer! 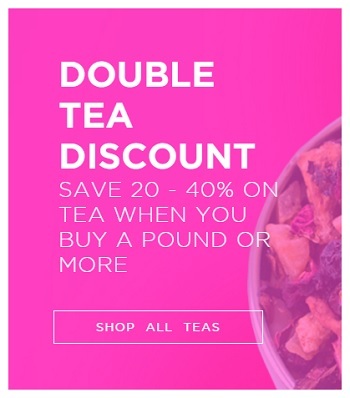 Take an advantage of Teavana Double Discount. Save from 20% to 40% off teas when you buy one pound or more + 30% off selected teas and gifts. Free shipping is available on all orders over $50. Official source of the information is Teavana Canada online. Offer is time limited, valid online only. For more information about the promotion visit the official Teavana Canada website.